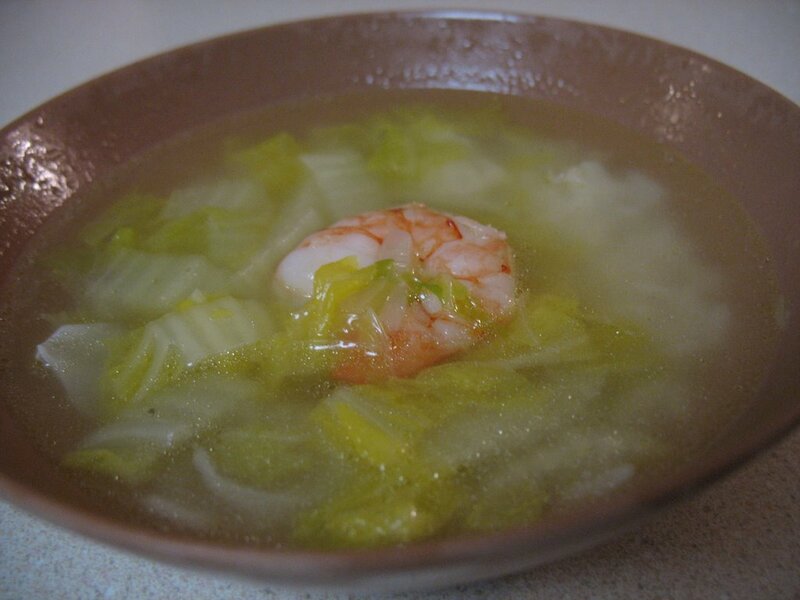 I'd woken up this morning wanting nothing more than a simple bowl of soup for breakfast. When I wake up early and have to eat breakfast right away, the only things that sound appetizing to me are light, warm, comforting foods. Miso would have been preferable. Alas, I had no miso paste in the house. (I settled for a quesadilla instead.) I then spent the rest of the day craving more Japanese food and wanted desperately to stop in at Pink Godzilla after work for an ocean salad, udon soup with tempura, and some unagi nigiri. But, since I'm trying not to eat out more than once a week, I went home instead to my mostly empty refrigerator. And whipped up some Vietnamese food. I remembered that I'd wanted to try the napa cabbage and shrimp soup, and I happened to have napa cabbage in the crisper and shrimp in the freezer. The recipe really was as simple as that, with just some onions, fish sauce, and water to round it out. 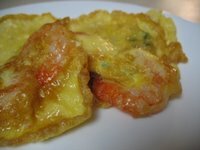 While I was wondering if soup would be substantial enough for dinner, I began flipping through the book and happened upon the recipe for egg, shrimp, and scallion pancakes. 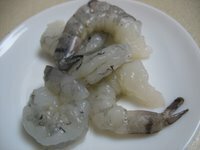 I took a wilted green onion out of the fridge, threw some more shrimp in some water to defrost, and grabbed the last couple of eggs. Being properly Asian, I also put the rice cooker on — because what is Asian food without rice? The pancakes are super easy to make and require a few simple steps: scrambling some eggs, combining the other two ingredients, and panfrying until golden. I sat down with a bowl of hot soup, followed by the pancakes, which I dipped in a little fish sauce mixed with soy sauce and ate over rice. My only complaint is really my own fault: that I didn't wait long enough for the soup to cool and burnt my tongue! In a large saucepan, heat a little oil over medium heat. Add onion and cook gently until fragrant and soft, about 4 minutes. Add the salt and fish sauce, cooking for 30 more seconds. Add water and bring to a boil. Add the cabbage and return to a boil. Lower the heat and simmer for 5 minutes, or until the cabbage is soft and the soup is golden. 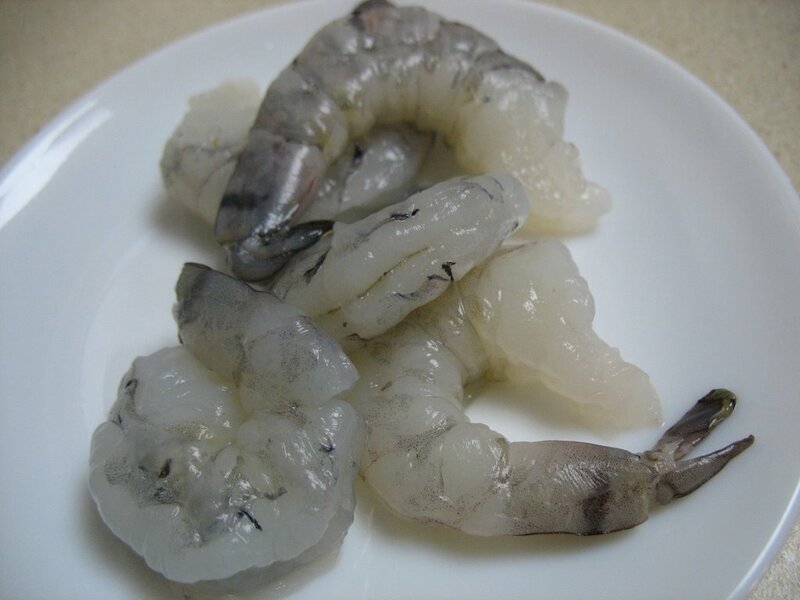 Drop in the shrimp and cook until pink. Add pepper and extra fish sauce to taste. (I added about a tablespoon or so more fish sauce.) Serve immediately. 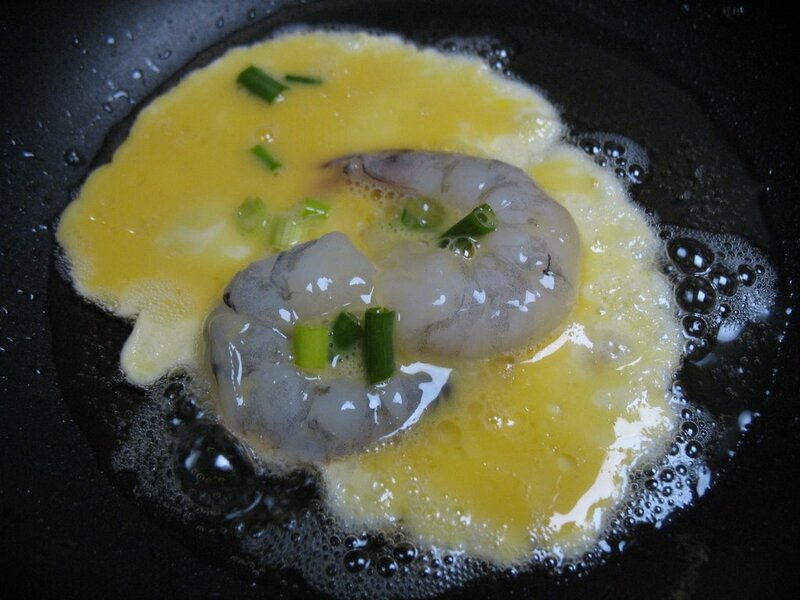 Put the shrimp in a bowl, add the eggs and scallions, and mix well. Pour thin coating of oil into a nonstick frying pan. Place over medium heat and heat until a drop of egg immediately sizzles and bubbles upon contact with the oil. To make each pancake, spoon about 2 tablespoons of egg mixture into the pan, making sure that two shrimp are included in each portion. Don't crowd the pancakes. When the edges are browned and lightly set, turn it over carefully with a spatula. Fry for another minute, until browned. Transfer finished pancakes to a plate and keep warm while you make the rest. Serve with fish sauce for dipping. I HATE burning my tonque! The food looks fabulous. I've wanted to get that cookbook--now you've convinced me! Sher - It's a great cookbook. There are so many recipes in there that I want to try.